According to Arab media reports, including al-Hayat and Hezbollah-affiliated al Mayadeen News, a one-year ceasefire agreement between Israel and Hamas may be signed on Friday, 6 Elul. There are no statements being released from Israeli leaders. The reports state Hamas guarantees a one-year cessation of hostilities, in exchange for Israel providing a maritime route that will run between Gaza and Cyprus. This will however remain under the security supervision of Israel. In addition, Egypt and Qatar will undertake financial responsibility for paying for Gaza’s electricity, as well as covering the salaries of Gaza employees. The agreement also includes future negotiations for the release of Israeli citizens held by Hamas as well as the release of the bodies of Hadar Goldin and Oren Shaul. The Goldin family, and many others, including ministers of the Bayit Yehudi coalition party, are decrying any deal with Hamas until the citizens and bodies are released. 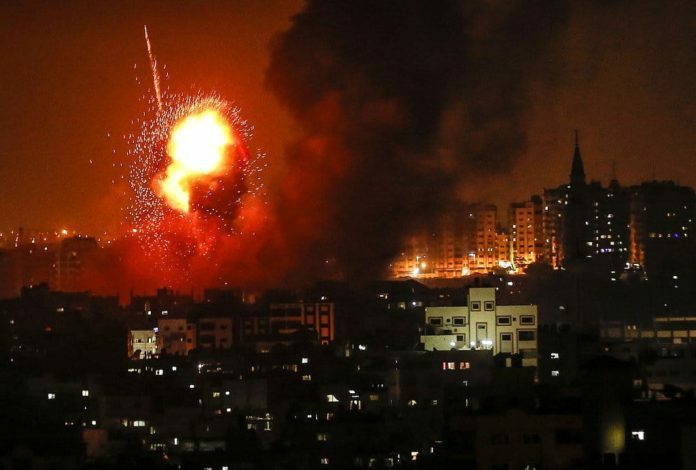 There is much anger among leaders and residents of southern Israeli communities, the communities near the Gaza border that were recently bombarded by Hamas rocket fire again. They feel abandoned and as ‘second class’ citizens. Calls for a major IDF incursion into Gaza and the elimination of Hamas leaders have gone unanswered by the government. Additionally, Arabic media reports that the head of Egyptian intelligence, Major General Abbas Kamel, was reportedly in Tel Aviv on Wednesday to discuss the final arrangement of the truce agreement. Kamel was scheduled to meet Thursday with Palestinian Authority President Mahmoud Abbas in Ramallah.